This issue, Kaffe Fassett encourages us to be brave in our choice of fabric, to reject the bland and be bold with colours. 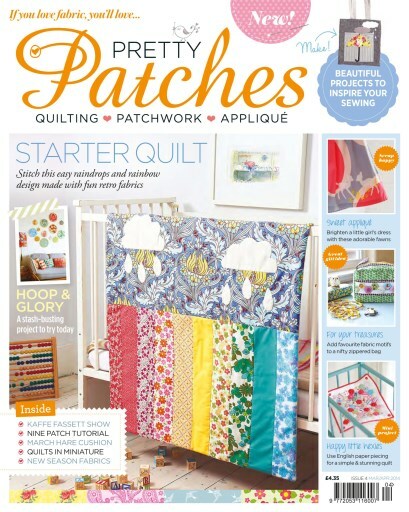 ‘Waste some fabric, be loose, have a play,’ he urges and the Spring-themed patterns in this issue are packed full of fun. Join us as we fawn over sweet deer appliqués, try your hand at Mia Underwood's Swooping Swallows, or Fly Away Home with Alistair Macdonald's mini kite bunting.